"Location! Location! Location! 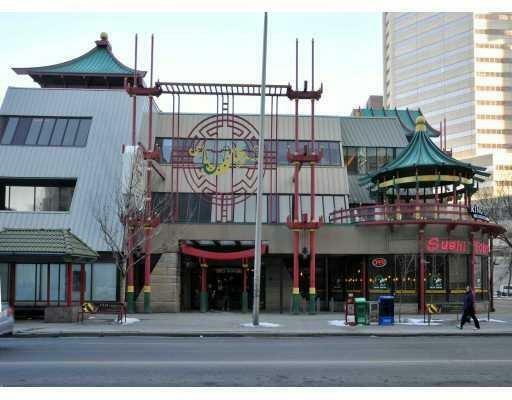 A rare opportunity to own your Jewelry Business at your own property in the Dragon City Mall in Chinatown. This well established Jewelry Store is located in the heart of Downtown Calgary. Dragon City is the biggest mall & most recognized landmark in Chinatown. Retail traffic generated 7 days/week & features elevator access from the underground parking facility or 3 street level entrances at grade. There are restaurants, bakery, fashion boutique, bubble tea, book store, pharmacy, cellular phone repair, beauty products, massage clinic, medical centre, etc. You are welcome to change to any kind of business you want. Now is time to own the property & be the boss or own the property & rent it back to the current owner or to new tenant as an investment property! 2nd option is buy the business for $75,000 & lease the store Please do not approach staffs. Unit 152, 158 is also for sale (buy 3 units & turn into 1 big unit) Underground heated parking available for rent $300/mth"